Someone pinch me. Is this blog post really dated September? If the saying is true, "time flies when you're having fun," then I must be having the most fun year of my life! 2014 certainly has been full of fun and great things—including challenging things that turned into great things—but the fall has taken me a bit by surprise! One of my favorite parts of this year has been starting The LovingKind and getting to share my heart with you and make new friends! I am currently working on a project I'm super excited about for later this year, but have realized it's taken some of the focus I normally put toward writing and blogging. I've got some great posts planned for the rest of the year, and I can't wait to show you my latest TLK project in just a couple months! In the meantime, as you come by to visit and I get caught up on blogging, I thought I'd share with you some of my favorite places to visit online! I hope these virtual destinations bring you as much joy and inspiration as they do me! I came across Emily's blog while I was engaged and Emily happened to be engaged too! It was her post about her wedding registry that first hooked me. Since then, Em for Marvelous has become a place for me that feels more like meeting a friend for coffee than reading a blog. On EFM, Emily shares about all things marvelous and her posts range from travel, to gift-giving, money management, home design and so many marvelous things in between! Whether I find a practical tip, creative inspiration, or beautiful photo, I always leave EFM with a smile on my face. You will definitely want to bookmark it as a place to visit regularly! And because we adore weddings and marriage around here, wasn't Emily such a lovely bride? Inspire Weddings & Marriage is one of my most recent discoveries and I have loved it so much! Inspire was shared with me by a friend of Woody's from back in Charlotte, and I've had the chance to read through three of their publications from their inaugural year. I love the collection of wedding inspiration and marriage guidance that Inspire provides. With a heart to see marriages healthy and thriving beyond a beautiful wedding day, Inspire shares content that will encourage and challenge you in all the right ways! You can check them out online and also order your copy of their latest issue or look for it at your local bookstore. Inspire Weddings & Marriage ultimately wants to distribute their magazine free of charge so it can easily get into the hands of couples to provide hope and encouragement. You can learn more about this vision by checking out their Kickstarter campaign! Most of my friends know it doesn't take long in a conversation with me for Lara Casey to come up. 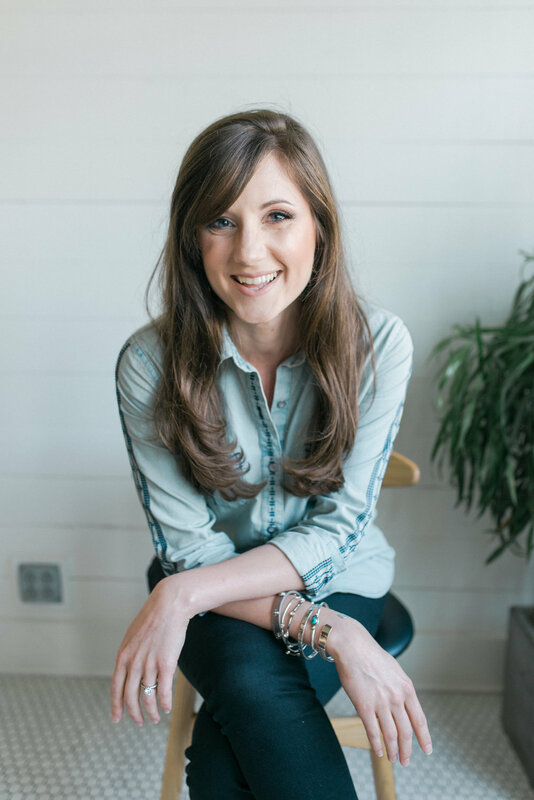 Through her many inspiring endeavors such as Making Things Happen and Southern Weddings Magazine, she has provided me with great tools and encouragement for my journey, and I just can't help sharing her with others! I believe in divine connections and finding Lara's blog was "online divine" for me, to say the least. Lara's messages about focusing on what matters and making it happen reached me at a very important time in my own creative journey. In fact, it was this post by Lara that played a major role for me in taking the leap to start The LovingKind. Here is the comment I left on that blog post in May of 2013, nine months before the launch of The LovingKind. To sum it up, Lara is a motivated creative, bold businesswoman, and faith-filled encourager. She has great advice, products, and resources that can impact your life, business, marriage, relationships, and so much more! Take a trip over to laracasey.com and the Lara Casey Shop and keep your eyes peeled for her book coming this December! I love Emily Ley's brand focused on Joy & Simplicity. Emily is a mom, creative, and entrepreneur that has a heart for women embracing simplicity and truly enjoying the things we treasure most in life. Perhaps she says it best, "Let's simplify life so that we can take care of our need-tos and focus on our want-tos. Let's ditch that standard of perfection and embrace a simpler, more what-matters-most lifestyle." I love how Emily shares her heart and mind so honestly on her blog and Instagram. She authentically tells her own story of living a life of Joy & Simplicity, even when it's not easy. It's her blend of uplifting joy and humble vulnerability that make Emily quickly start to feel like a friend, even if she is a virtual friend! As a lover of beautiful paper and office supplies, Emily's shop makes my eyes light up! With bright colors and meaningful design, it's a shopping experience that makes me think more about the why of what I want to make happen than the what. I recently ordered her popular Simplified Planner for the first time and I am so excited to use it in 2015 to dream, prioritize and do what matters most! P.S. Emily is also part of Making Things Happen alongside Lara! The gentleman in your life might also like an online recommendation so I thought I'd share one of my husband's favorites! Blaine Hogan is a creative director, author, and all-around interesting guy. As he puts it, "From creating films to live experiences; meals to relationships; books to blogs; sacred spaces to directing perfomance art in alleyways - my desire is to engage a world that is not yet finished with beauty, awe and wonder." Blaine's blog includes great posts of music playlists, video interviews with the likes of Seth Godin, thoughts, ideas and bits from Blaine's life as a husband and father to name a few. Woody and I also have enjoyed several good laughs from Blaine's collection of random Friday Dance parties. Blaine is also one of the creators of Our Common Mug, a product designed to connect friends across long distances, through a shared routine like a morning cup of coffee. Well, friends, I hope these online suggestions will help fill your days with new ideas, meaningful inspiration, and simple smiles. As always, there's lots more to come from The LovingKind soon including a new recipe with guest blogger Callie of Luv Cooks, more Behind the Lens photographer features, a baby shower post, and new TLK treats to enjoy that will soon be revealed! What are some of your favorite blogs and online sites? I'd love for you to share them with me and other TLK readers in the comments below!